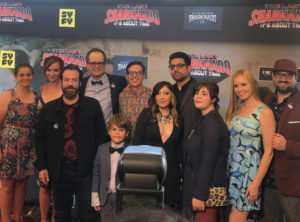 Congratulations to Staydream’s composer, Adam Dachman, on his work in Sharknado 6! Mr. Dachman first connected with Sharknado producer David Michael Latt through Ancestry.com, where they discovered they share a common ancestor. Later, Mr. Latt introduced Mr. Dachman to his studio composers, Chris Ridenhour and Chris Cano. After a couple of years of correspondence, the group started working collaboratively; resulting in an invitation for Mr. Dachman to help score the final installment of the Sharknado series. 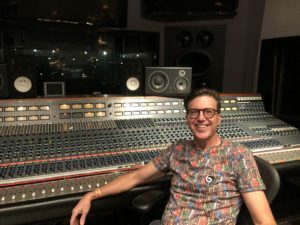 Mr. Dachman is a classically trained pianist and studied composition and film scoring at Berklee College of Music, Thinkspace UK, and The Hollywood Music Workshop. Mr. Dachman is also a member of American Society of Music Arrangers and Composers (ASMAC). Sharknado 6 is now available on SyFy.